It happens to the best of us: you start your day determined to get a laundry list of things accomplished but by the time evening rolls around you haven’t made quite the dent in that list that you expected. Sometimes there just doesn’t seem to be enough hours in a day to get things done in today’s lightning-fast paced world. But sometimes it comes down to a matter of poor time management. When it comes to personal matters and recreational activities and hobbies, procrastination can be laughed off as a minor character flaw. 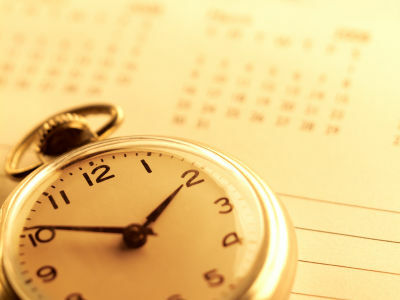 But when it comes to your professional life and your business, less-than-stellar time management can mean lost revenue. Fortunately, like the television commercial from a few years ago said, “there’s an app for that.” Time tracking and time management apps have become a veritable Godsend for individuals who have ended their workdays kicking themselves for letting valuable minutes and hours slip by unproductively. With these apps, however, lost time can become a thing of the past and productivity levels can increase exponentially. Chrometa is designed to help keep you on task when you’re pecking and clicking away at your computer all the live-long day. It captures and records the time you spend doing things like browsing Facebook, drafting documents, or emailing customers. And the best part is it does all of it automatically without the need to click the timer on or off. Chrometa also gives users a prompt to log down time if they step away for lunch or to attend a meeting. All it takes is a quick login at the beginning of your workday and the app does the rest. This app is a favorite among many types of professionals, particularly entrepreneurs and freelancers who are essentially their own bosses. Managing projects and staff can become cumbersome for most people if they try to go it alone, so to speak. Cube Anywhere is accessible on any mobile device and allows managers to create project groups and assign tasks and is able to store critical business information such as project deadlines, client data, and calendars. Freckle has become known as one of the most user-friendly time management apps available. It creates schedules of your workday and divides them into convenient 15-minute chunks that also display the software programs you used and how long you used them. Freckle tracks your internet usage and time and has a Cloud-syncing capability that captures your offline time and organizes your full schedule once you log back on. More than simply a time management tool, Paymo Time Tracker tracks software usage, has invoicing capability, and several project management tools that have been described by its customers as extremely easy to use. One of the best and most unique features of Paymo, however, is that it offers a free plan that includes time detection and organizes unlimited clients and documents. The free plan only allows for one invoice to be generated per month but if you can get past that, the other features available with the free plan make this one of the premier tie management apps out there. If you’re to the point where you just can’t squeeze anything else into your workdays and are planning to outsource, Hubstaff is a great resource that will quickly become your go-to. Why? For starters, it’s pretty darn convenient. You can access the site directly, or through their mobile app, which is perfect if you’re always on-the-go. Plus, the service keeps track of your team automatically by recording screenshots and activity levels. It even tracks keystrokes and mouse movements. Best of all, they offer a free 14-day no-obligation trial so you can “try it before you buy it.” If you need to free up some of your time so you can focus on more important parts of your business – like growing it – Hubstaff is a great choice.